After being out of town all weekend, I wasn’t feeling overly motivated to cook, so I needed a quick and easy Monday night meal. 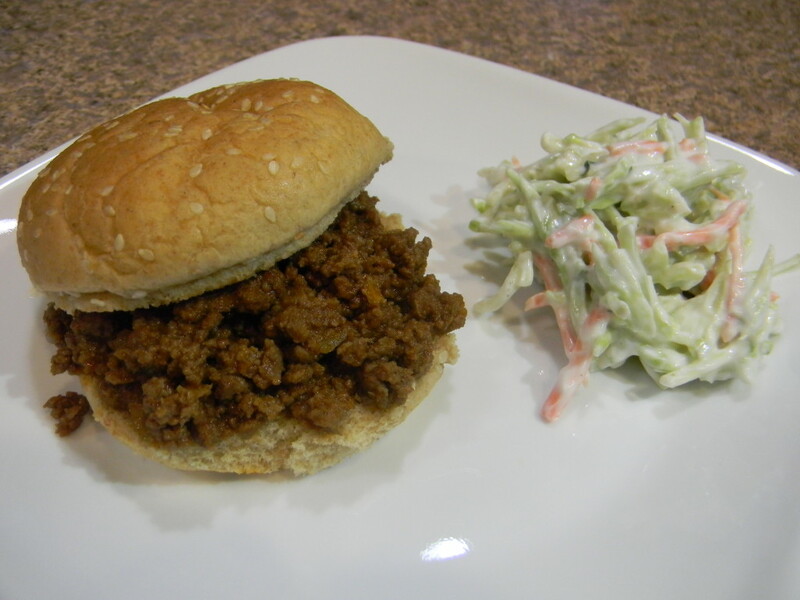 I decided on an old favorite: my grandmother’s hamburger barbecue recipe (aka sloppy joes). In a small bowl, combine all of the sauce ingredients. In a heavy skillet, brown ground beef and diced onion until beef is no longer pink.